The MM1-0424S is a passive double balanced MMIC mixer. It features excellent conversion loss, superior isolations and spurious performance across a broad bandwidth, in a highly miniaturized form factor. Accurate, nonlinear simulation models are available for Microwave Office® through the Marki Microwave PDK. The MM1-0424S is available as a wire bondable chip or an SMA connectorized package. 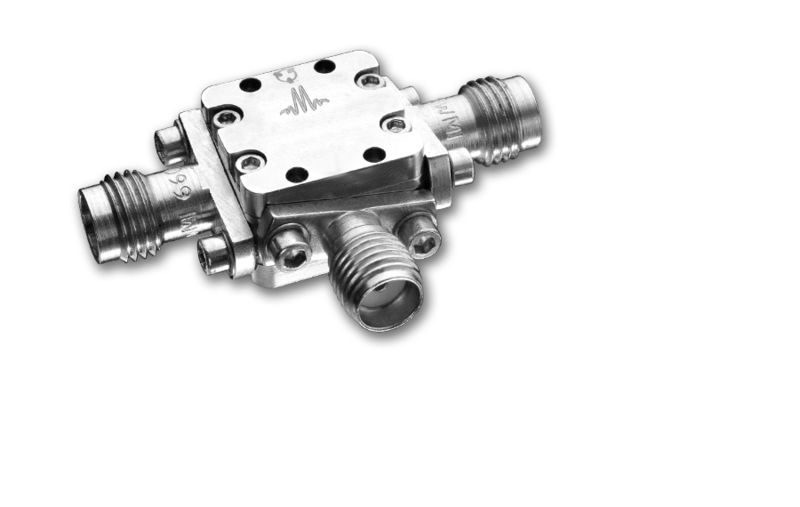 The MM1-0424S is a superior alternative to Marki Microwave carrier and packaged M1 and M3 mixers. Electrical Specifications - Specifications guaranteed from -55 to +100°C, measured in a 50Ω system. Specifications are shown for Configurations A (B). See page 2 for port locations. All bare die are 100% DC tested and 100% visual inspected. RF testing is performed on a sample basis to verify conformance to datasheet guaranteed specifications. Consult factory for more information.